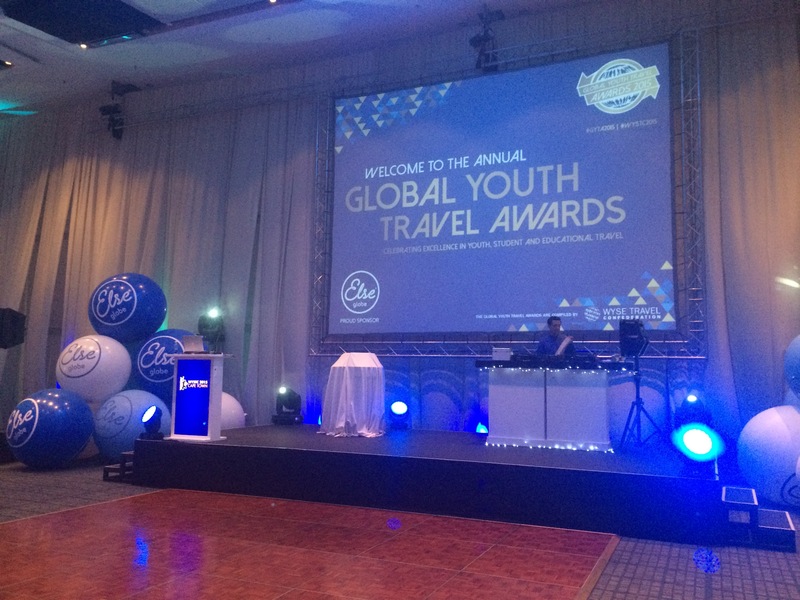 I recently had the honor of representing THINK Global School and one of our students, River Wittke, at the World Youth Student Travel Confederacy Conference and Global Youth Travel Awards in Cape Town, South Africa. I arrived at the conference slightly overwhelmed regarding the potential of this visit for TGS. I slotted on average five meetings per day and carefully chose the seminars that I felt would best benefit our organization. While I recognized my lack of knowledge about the workings of our school on a macro level, I was hopeful that my passion for our school and what we do globally would resonate with other organizations. This is exactly how the conference played out. Organizations were so enthusiastic about TGS and were eager to learn everything they could about us. Some inquired out of interest for their children, but most saw us as a genuine opportunity to bring our international students to their part of the world. I was quick to share my main intention for being at the conference, which was as a representative for River Wittke in the Global Youth Travel Awards. Earlier this school year, Lindsay Clark and I nominated River for the Extraordinary Experience award to congratulate her and her teammates on the TGS Tohoku project. cross-cultural communication abilities with the residents of Rikuzentakata. River was forming and asking deeply reflective questions, all while utilizing an interpreter on the ground (and eventually in the editing room). She went to great lengths to ensure accurate translations of the recorded events that took place in Japanese. leadership skills, including her ability to make executive decisions and mediating discussions amongst her crew of other 9th and 10th grade students. production knowledge and skill set. River transformed from novice to expert in digital film editing within a two-month period, and her directorial decisions became more deliberate as her confidence grew. River exhibited her incredible capacity for empathy and accepted a responsibility to the survivors of the disaster by producing the final film with great care. River and her teammates made a pledge to the people of Rikuzentakata that they would honor their stories through the editing and release of the documentary. While I was on an expedition with the students in Edinburgh, Scotland we got word that River was selected as a finalist for the award. It was quickly decided that not only would I attend the WYSTC Conference but that I would represent River at the awards ceremony while she finished that last leg of her weXplore in the United Kingdom. Conference attendees were wowed by my recounting of the story of TGS Tohoku and what the students were able to see, hear and accomplish. Having the discussion about the documentary they made, “Roots of Hope,” allowed outsiders to comprehend the talents and strengths of our students. They commented on the empathy, technical abilities and communication strengths that our students utilized to accomplish such a feat. When the time came, I was honored to see both River and THINK Global School on the big screen to announce the finalists for the Extraordinary Experience award. The competition was tight between the International Student Volunteers, THINK Global School and SAVE Volunteering. Although we came in second place having the opportunity to speak about “Roots of Hope” and the entire Tohoku and TGS project were all the reward I was seeking. Before I left, River and I discussed that just getting the documentary recognized would serve our goal of telling the story of Rikuzentakata, Japan. Upon sending an email to River about her and the teams 2nd place achievement, I was slightly expecting a reply written by a disappointed student. I was elated to see her response to the project, the award, and the opportunity. Here is an excerpt from her powerful email response. Rikuzentakata made me believe that hopelessness is an urban myth. Imagine for one moment what it would be like to watch the ocean steal everything you love. What it would be like to see houses and humans and trees treated with equal disregard. What it would feel like to be so utterly helpless in the face of it all. Perhaps you, like me, would feel those cold little fingers of hopelessness wrapping around your heart. I got on a plane with no idea what I’d see when I touched down. But I would have never guessed I would encounter so much hope. I didn’t speak to a single person who didn’t envision a future for their city. There were no dead eyes or dull voices. This was a community that was built on a foundation of hope, and not even an earthquake could shake it. I feel nothing but honored to have been invited to the homes of so many, and incredibly privileged to have been granted access to such personal insights. But more than anything, I’m grateful that the they’ve dispelled my belief in hopelessness. It was the tenacity of the people we encountered that caused the Tohoku team to work so intensely on this project. And though it proved to be challenging, I don’t think any of us would change it for the world. As you can see, River and her team surely had an extraordinary experience and continue to be extraordinary students. It was an honor to represent them and be an ambassador for THINK Global School. Follow the link to see all of the finalists and winners from this years awards ceremony. To see our photos from the TGS Tohoku trip click here. To see some of the behind the scenes information on TGS Tohoku. Watch Roots of Hope below.